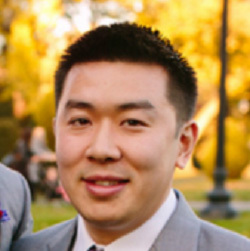 After launching his personal finance site Bargaineering in 2005, Baltimore-based blogger Jim Wang quit his software engineering job in 2008. And he never looked back. After exiting Bargaineering to the tune of seven figures in 2010, Jim now has a new venture, Microblogger, with which his goal is to use the lessons that he has learned to teach bloggers how to make more money. Jim has graciously given some of his time today to conduct this interview. MonetizePros [Jimmy Atkinson]: Going back to your earlier days, before Bargaineering, you used to be a software engineer. When and how did you become interested in software engineering? Jim Wang: I got my first computer before I got my driver’s license so for me, computers represented freedom. It was slow and clunky dial-up back then, but it allowed me to “meet” people all over the world through my computer. I became interested in software engineering because it offered up great career prospects, especially in the late ’90s when the dot-com boom was really at its peak. MonetizePros: True. I wish I knew the answer to that one! What skills did you learn in that profession that you still find useful today? Jim: I think my biggest skill is problem solving and not being afraid to try new things. I went to a pretty competitive and challenging school and quickly realized that they weren’t teaching software; they were teaching you how to approach problems. Given enough time, any problem can be solved and that’s a powerful belief to have. MonetizePros: You’re probably best known (on the Internet at least) for being the founder of Bargaineering. What was the impetus behind launching that site? Jim: I started working at a defense contractor, and on the first day they handed me this massive employee handbook. It included information about their 401(k) and their menu of options. I had no idea where to begin. So I began reading the handbook and trying to decipher what everything meant. That was about the time that WordPress came out and blogs were really becoming popular, so I thought I’d start a blog. I could write down my thoughts and reference them anywhere, which eventually became my blogging philosophy. MonetizePros: Besides Bargaineering and your latest venture Microblogger (which we’ll get to later in the interview) what other jobs have you had or businesses have you founded? Jim: I worked as a software engineer at two defense contractors before pursuing Bargaineering full-time. Those were some fun times, working on small parts of enormous systems, but I didn’t like how large those companies were. These days, besides the two you mentioned, I’m involved in Dealzon, a site that curates deals for gamers and technology enthusiasts. MonetizePros: Tell us a bit about your latest venture, Microblogger. How did the idea to launch this site come about? Jim: The eight years of running Bargaineering, I’ve learned a lot about how to start, grow, and monetize a blog. I wanted to codify that knowledge somewhere and thought that Microblogger was the best way to do it. I’ve always had a keen interest in teaching, from when I tutored in high school, because I enjoy distilling difficult and complex subjects into a simpler explanation (that was also the approach I took with Bargaineering on personal finance). I realize that are a lot of “make money online” and “make money blogging” sites out there, but I figure not many are written by someone who has had a seven-figure exit. MonetizePros: You are right about that. So, who is Microblogger’s target audience? And since I am representing MonetizePros here, I have to ask: do you intend to monetize this site at some point? Do you have any premium products in the pipeline? Jim: The target audience will be anyone who wants to start a blog and make money off it. Initially, I’m going to start with the basics and sprinkle in some intermediate and advanced topics. I want to grow the library of content on the site so that anytime someone wants to know anything about blogging, I can point them somewhere. For that you need to start with the basics. I intend to monetize it in the future, though that might be in the form of premium products. I’ve had an outline for a book on blogging for a while now but my fear is that it’s too technical and in the weeds for most (it focuses heavily on monetization actually!). MonetizePros: Shifting gears for a moment, can you give us some insight into your personal life? What are some of your hobbies that you enjoy when not online? Jim: My two newest hobbies are probably golf and running. I do some of my best thinking when I’m running, which is not something my younger self would’ve ever thought was possible. Golf is just a very challenging sport from both a physical and a mental perspective. I enjoy the challenges of both and the “break” they offer from work. MonetizePros: Getting back to business: what is the biggest Web monetization lesson that you’ve learned and how can others apply your lesson to their sites? Jim: You need to be testing everything. If you have a page on your site that gets a lot of traffic, you need to constantly be testing every last detail to increase conversions, ad clicks, whatever it is you want them to do on the page. Even when you think you’ve maxed out, keep testing some more. It’s not an especially glamorous task but one that can pay huge dividends. And don’t confine yourself to split testing; you should be testing headlines on new content, new subject areas, and anything else you can think of. You can’t discover something new if you’re just doing the same old thing. The worst that can happen is you try something new, it doesn’t work, and you have to try something else. MonetizePros: Great tips. What other advice would you give to a new Web publisher or blogger looking to build an audience and monetize a site for the first time? Jim: Focus on the audience first and the monetization second. When you’re just starting out, you need to focus on build an audience and not on getting a few cents for clicks in AdSense. Content is hard enough, you don’t need the headache of integrating advertising coupled with the emotional difficulty of seeing that the site isn’t making any money because you have few visitors. MonetizePros: What do you envision for yourself and Microblogger in five years’ time? Jim: I never look that far ahead and on the Internet; five years is forever. I never thought about it until just now, but it took me about five years to build and exit Bargaineering, which strikes me a shockingly short period of time. So I don’t know if five years is a long time or a short time! If I can have a tenth of the success I had with Bargaineering, I’d be thrilled beyond belief. MonetizePros: Thanks for your time, Jim. Best of luck with Microblogger!